ESD Tapes also known as ESD Cellulose Tapes, are made of a 2 mil clear cellulose material with solvent based natural rubber adhesive. Temperature range is 32°-150°F. They have tensile strength of 24lbs/inch. 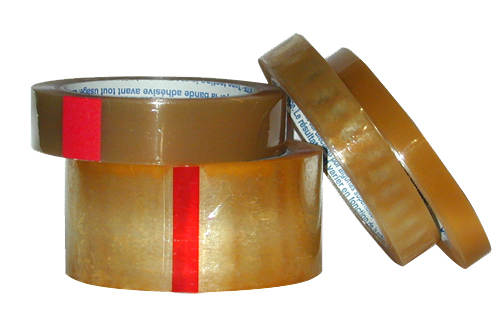 These tapes are available in 3" core and are 108 ft long.